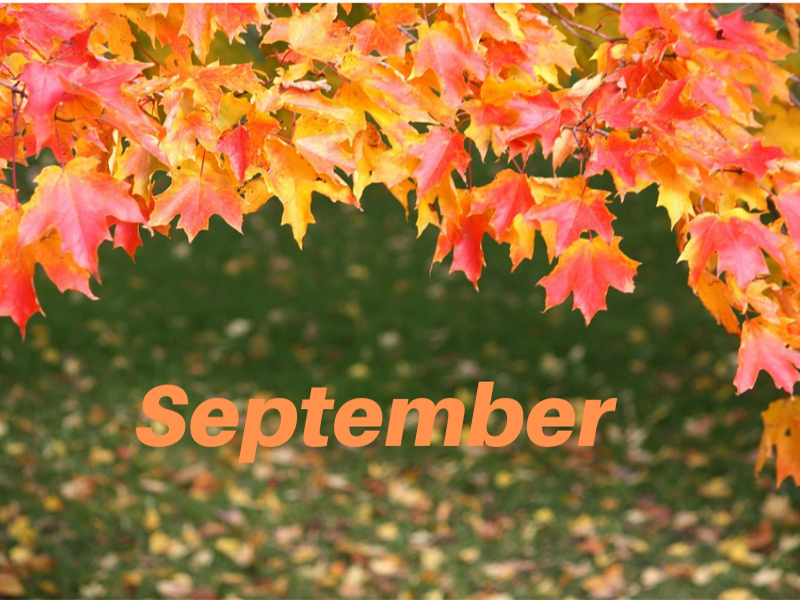 September that marks the beginning of autumn comes from the Latin root septem– meaning “seven”. September was the seventh month in the Roman republican calendar of the 10 months – artius, Aprilis, Maius, Junius, Quintilis, Sextilis, September, October, November, and December. The last six months were named according to their ordinal numbers, Quintilis for the fifth month, Sextilis was the sixth month and so on. When the Julian calendar was introduced in 45 BC two more months – January and February were added. Quintilis and Sextilis were later renamed to July and August in honor of Julius Caesar and Augustus Caesar. Attempts to change names for September, October, November, and December were unsuccessful and interestingly these names spread to other languages.